Add-on anti-diabetic with antioxidant & hypollpidemic advantage. Hyponidd is a herbo-mineral remedy recommended for diabetes treatment. The ingredients of Hyponidd help in lowering blood sugar levels and also reduce cholesterol. The overall benefit of Hyponidd included insulin sensitizing, antihyperglycemic, hypolipidemic and antioxidant. Hyponidd can complement insulin therapy or other diabetes control medicine. It minimizes the chances of diabetic complications, if started sufficiently early. 1) No clinical hypoglycemia unlike suphonylureas. 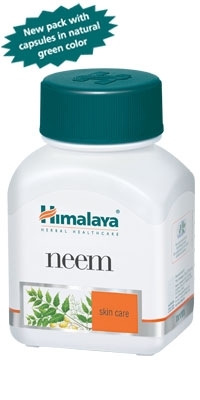 2) Lowers the lipid levels & protects against cardiovasular diseases. 4) No need to add antioxidants as it contains natural antioxidants and rejuvenators. 5) Delays the diabetic complications – Impotency in male, neuropathy and retinopathy. 6) Cost effective for long-term use. 7) Improves quality of life and restores libido. 5) Drink atleast 8 – 10 glasses of water daily. Polycystic Ovarian Syndrome (PCOS) is a common metabolic disorder affecting and is a leading cause of infertility. The major effect of PCOS is the change in insulin resistance wherein a high amounts of insulin is produced in response to food intake particularly carbohydrates and fat. Hyponnid corrects all metabolic reproductive and steroidogenic axis in a PCOS woman. thus alleviating anxiety and providing a treatment modality without side effects. Besides helping women to conceive it also useful in long term complications if started early.